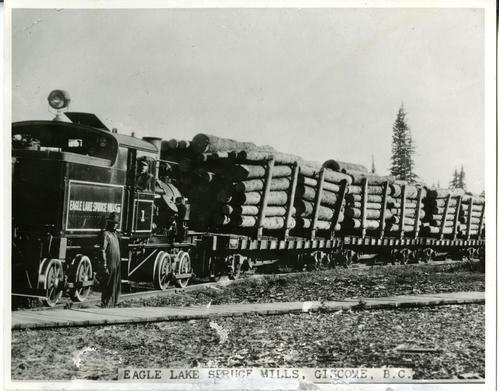 typed annotation on verso of photograph reads: "Heisler locomotive pulling CNR log cars to Eagle Lake Spruce Mills, Giscome, Circa 1925. Track ran from Giscome to Willow River area. 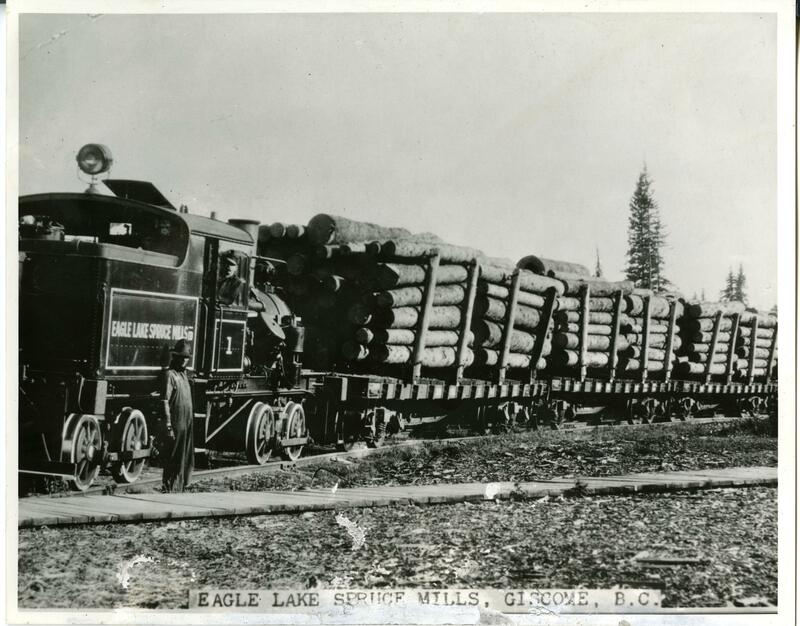 This was the only standard gauge log railway to operate in the Prince George Area."